We use CrossFit as our training method, for the same reason top level athletes train the way they do: Because it works! 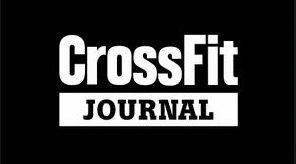 CrossFit is currently the most efficient and effective exercise program out there. In our box we do constantly varied, functional movements (like squats and push-ups) at a high-intensity. Functional movements are organic in nature, innate to our DNA and essential to our quality of life. We train for longevity, we train for health and most of all, we train for fun. Can’t wait to start? Sign up for a free intro class. Each day we have a new workout, called the Workout Of the Day! This is simply the routine you’ll be doing when you hit the box — the movements and the structure of the workout, which changes daily. Constantly varied is the key to succes. Also known as the Benchmark workouts, the Girls and Heroes are globally used to test your fitness and keep track of your progress. We will throw in these benchmarks once in a while to see if you’ve improved over the last time you did this workout. The best part of CrossFit Aan ‘t IJ is its community. Being part of this community is what makes CrossFit unique; everyone knows one another, you suffer together, there is always someone to help with technique, you compare WOD results, discuss competitions etc.